COLORING GAME POINT /CGP is a POP-UP, an urban play center . CGP offers leisure and temporary public service to experience a new aesthetic of the souvenir photo or landscape photograph at the Darsena, Milan’s district. CGP asks to the pedestrian to imagine themselves as a round or a square then, to draw down the geometrical shape chosen on a handmade postcard and to interpret it in the urban landscape for a photographic shot. 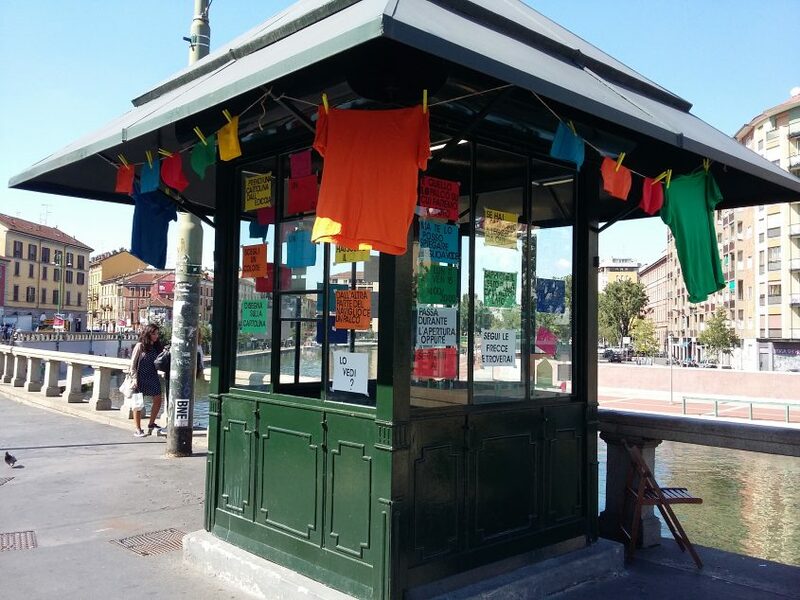 CGP promotes to color the urban landscape using swimming bath cups and T-shirts. In other words, CGP uses a laboratory form based on 3 activities: drawing, body activity and photographs. CGP proposes a game of 15 MIN long, it is free and suitable for adults and children. CGP has terminated with a collective action, an attempt group photo, on Friday 15th September at 7PM. COLORING GAME-POINT /PUNTO COLORE LUDICO O ANCHE DETTO, CGP/PCL, È UN POP-UP, UNA LUDOTECA URBANA A TEMPO. CGP/PCL OFFRE UN SERVIZIO PUBBLICO RICREATIVO E TEMPORANEO PER SPERIMENTARE UNA NUOVA ESTETICA DELLA FOTO ‘SOUVENIR’ O FOTO DI PAESAGGIO ATTORNO ALLA DARSENA A MILANO.CGP/PCL chiede ai passanti di immaginarsi di essere un cerchio o un quadrato, di disegnare la forma geometrica scelta su una cartolina disegnata a mano e, infine, di interpretarla fisicamente per uno scatto fotografico. 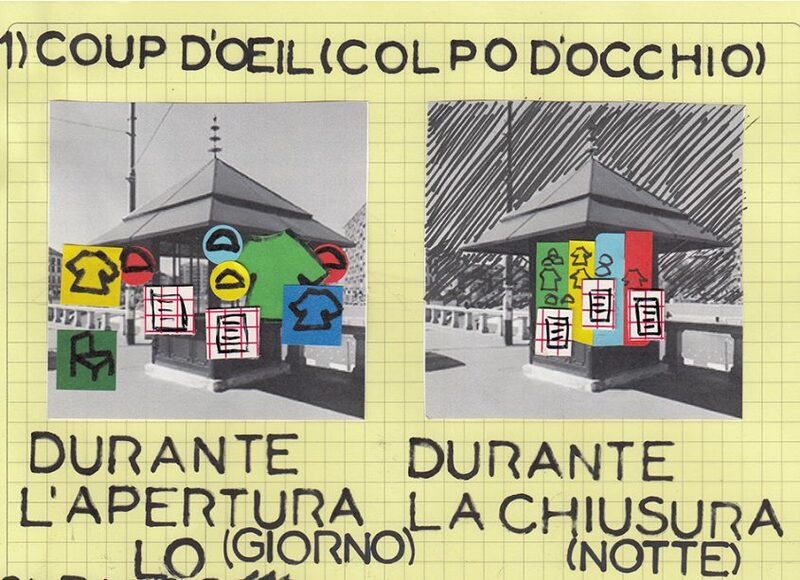 CGP/PCL UTILIZZA UNA FORMA LABORATORIALE BASATA SU TRE ATTIVITÀ RICREATIVE: IL DISEGNO, IL GIOCO CORPOREO E LA FOTOGRAFIA. CGP/PCL È TERMINATO CON UN’AZIONE COLLETTIVA, un tentativo di foto di gruppo, VENERDI 15 SETTEMBRE ALLE 19H.